For many small businesses and startups, a conference room is either being used as a spare office or doesn’t exist at all. But for those without a conference room, meeting at a coffee shop or restaurant may not be an option, due to budget constraints, and let’s face it, it’s not the ’60s anymore, when Mad Men-style “power lunches” were the norm. Not to mention that meeting in a public place may raise issues surrounding privacy. The same goes for home-based businesses. Creating a positive and lasting impression on your potential employees as well as existing and prospective clients is essential to sustaining your business and maintaining a good reputation in your industry. Meeting room rentals in Ottawa can help you achieve this and countless other business-related goals. In fact, renting a boardroom or meeting space for your business functions offers you a variety of rewarding benefits that are valuable to every successful business. It allows you to establish and maintain strong professional relationships, it impresses your clients and keeps them happy, you have unlimited Wi-Fi access at your disposal, and you get to choose the size of your designated meeting space ahead of time. Many SMBs and startups may feel that they cannot afford to rent a building that has a meeting room until they are making more money; even renting a conference room may seem like a huge obstacle. However, it is possible to find affordable meeting space rentals in Ottawa that won’t break your budget. Renting also allows you to save money, since you can use a smaller office and only rent a meeting room when needed; for an increasing number of SMBs, this is their go-to choice. Even if your business has a meeting space, it may be booked for an important client meeting or interview. Renting a boardroom or meeting room allows for flexibility during busy times. For businesses that do not have a location, such as home-based and virtual offices, renting a conference room or meeting space will provide a professional place to meet with clients, interview employees, and more. Meeting space rentals in Ottawa can also be set up fairly quickly, often by the next day. A meeting or boardroom rental in Ottawa should come with fully furnished offices, including a receptionist to greet guests. It should also offer you a telephone answering service, IT staff, and basic assets like refreshments. For a startup or SMB on a limited budget, these benefits can be an asset. 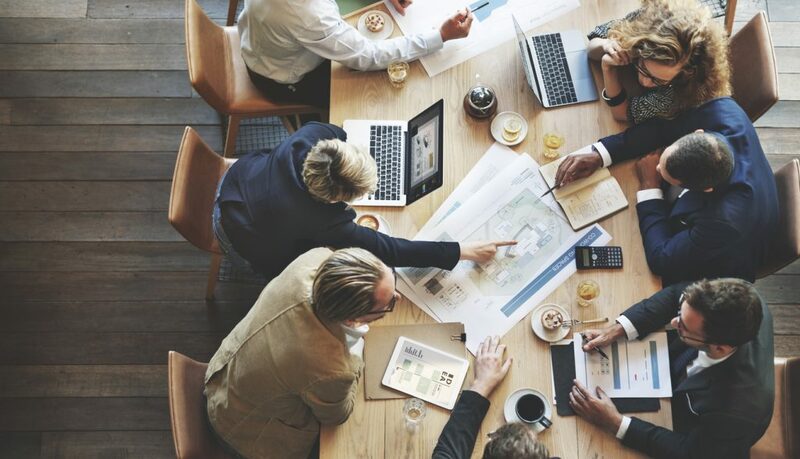 Businesses that provide boardroom rentals in Ottawa tend to offer a convenient location close to major business centres and transportation hubs, so clients can easily travel to them. Rented meeting and conference rooms also tend to be located close to major airports and hotels, where traveling executives stay. In order to establish and uphold a strong, meaningful, and lasting relationship with your clients or prospective employees, you need to exude professionalism both in terms of your attitude and your environment. Renting a meeting room in a central location like Ottawa is an ideal way to accomplish this feat. When your clients or interviewees step into your rented boardroom or conference room, they should get an initial sense of what your company is all about and whether or not your mutual partnership or working relationship will be a good fit. You need to create the impression that you’re willing to work hard to provide your clients and employees with the tools and space they need to conduct a successful and lucrative business. There’s nothing more potentially detrimental to a business than having clients rapidly lose interest or become dissatisfied with your services. That’s why it’s always important to come up with new and alluring ideas to keep your clients interested in everything you have to offer. Whether that means devising new campaigns to satisfy their needs or securing convenient conference room rentals whenever you need to conduct an important meeting. The point is that in order to keep your clients on board and in good spirits at all times and within reason, you need to be at their disposal and provide them with a meeting space that doesn’t just meet their standards but also goes above and beyond their expectations. Most meeting room rentals in Ottawa come with access to unlimited Wi-Fi as part of your comprehensive rental package. A reliable, high-speed, and secure Internet connection is an important asset to any modern-day business and you need to make sure that wherever you book a meeting space with your clients, your Wi-Fi connection works properly. You and your clients should be able to connect to the Internet seamlessly on all devices including laptops, tablets, and mobile phones. Another great advantage of renting a meeting space in Ottawa is that you can conveniently choose the size of the boardroom or conference room based on what you need. Whether you’re planning a large-scale corporate event, company-wide meeting, group or personal interviews, or even a private client meeting, your options are boundless. Innovative Professional Offices offers fully equipped meeting space rentals in Ottawa, as well as other cities in Ontario. Our professional reception staff are there to assist you with clients, meeting your guests and taking them to your room. Our conference and meeting rooms are available for both short- and long-term rentals.